Of course, the most important thing when it comes to kids’ clothes is the comfort and quality - that goes without saying. But who says you can’t have everything and have really trendy and fashionable clothes which are at the same time really practical, comfortable and high quality. 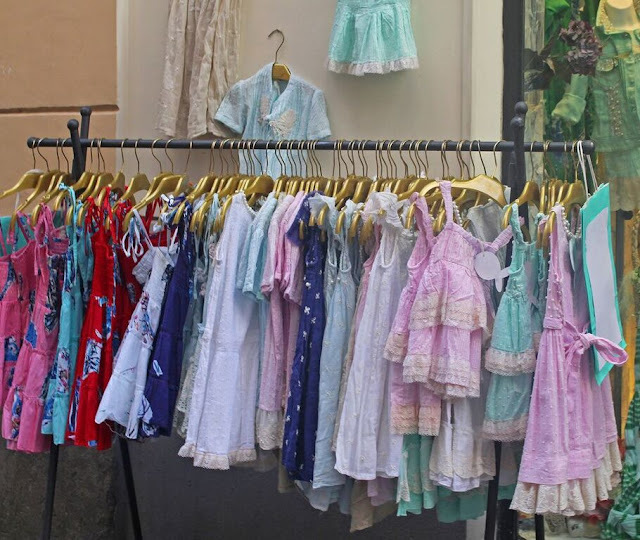 So check the latest trends in kids fashion for this summer, without compromising any of the above-mentioned aspects from places like ModerneChild. It is important to keep the cool, manage sweating and stay protected from the sun in the summer, but why not look cool and trendy at the same time. Here are a few tips which help you decide what clothes are the best fit for your children this summer. Besides being comfortable and suitable for the weather, the fabrics of your children ’s clothes should also be fashionable so you will see homespun cotton, embroidered patches and denim and rope ties in many collections this summer. hic prints and clothes with geometric patterns or shape. They won’t be difficult to find this season. Also, always keep linen in mind, as it is perfect for the hot weather and it never gets out of fashion. Of course, summer is all about bright and light colors. Some parents prefer to stay gender-neutral when it comes to colors, so red is always a good option along with all its shades. Of course, you can never go wrong with green which will bring freshness into hot summer days. Khaki colors are also very popular, especially in combination with some bright colors, and are suitable both for boys and girls. Of course, for those who prefer more "girly" outfits, you can never go wrong with the pastel tones. It is a hit this season and it will make your girl look super cute and gentle. If you want to spice it up a little, chose items with funny and cute prints and quotes. You can find out more about these types of clothes here https://modernechild.com/pages/unique-girl-clothing-stores. and your boy will look super trendy this season. Pair that with some structured prints, and you’re ready to go. Of course, summer footwear is one of the most important aspects of clothing. They should be really comfortable allowing the feet to breathe in all this heat. Make sure you get some quality sandals and flip flops which will complete your kid’s summer outfits. Again, choose bright colors, but not too colorful if possible. Shoes are really effective in completing an outfit. Also, don’t forget to get some light sneakers which will protect your kid ’s feet, without warming them too much. You can always go for a cartoon character print, there ’s no mistake there. ensure your child's outfit is still fashionable, even though they are maybe wearing some last year’s models. Accessories such as bow pins, hats or hair bands can really freshen up a look and spice up the combination. Cool caps with print are always are a good option for the boys. If you choose quality clothes made of light, natural materials, in bright colors sublimed by some pastels or nudes, along with some cool and cute prints, your kid is goingto be a true trend setter this summer. Add some nice shoes and a few fashion details, and the little one is ready for the catwalk!